It’s March, and St. Patrick’s Day is in the air! To celebrate, my publisher and I have put up a “Bad Tattoo” post on Bored Panda. It’s a promotion for the book, of course, but it’s also a great antidote for all the kitsch that comes our way at this time of year. 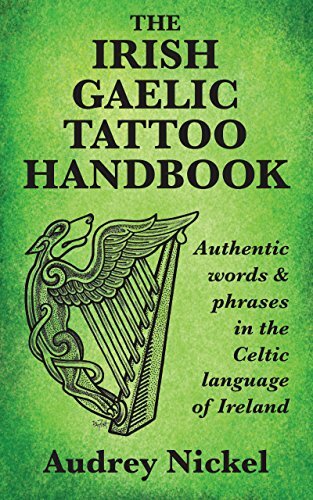 It may seem surprising, but reading and doing tattoo translations can actually be a good way to learn basic Irish-language concepts, including sentence structure, idiom, and the use of articles and the genitive case. And if schadenfreude is your thing, looking at these particular tattoo “translations” will definitely scratch that itch! Enjoy, and if you’re so inclined, please share! The world needs more exposure to Irish and fewer bad Irish tattoos! Next Next post: O Say, Can You Say…?